Biography of Guglielmo Marconi (1874 – 1937) - Robolab Technologies Pvt. 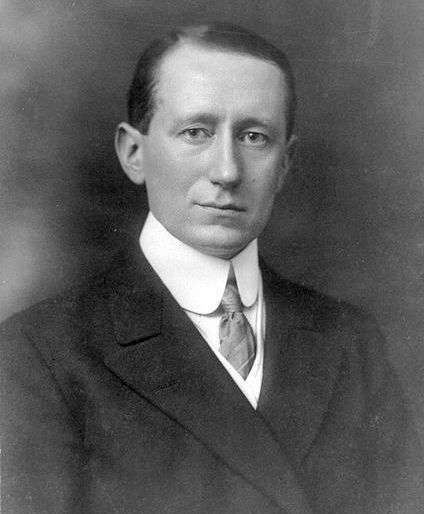 Ltd.
Guglielmo Marconi was an Italian scientist and inventor, known for his development of Marconi’s law and a radio telegraph system, which served as the foundation for the establishment of numerous affiliated companies worldwide. He was born on April 25, 1874 in Bologna, Italy. He belonged to an affluent and cultured family, which provided him with the best of education. Marconi was a talented and polite child. Right since school days he carried out experiments and he preferred electrical experiments the most. He was allotted a room in his house which he converted into a laboratory. The room was scattered with wires, poles and tin containers. The enthusiastic youngster spent hours in this laboratory.